Low drag, gloss finish lightweight overshoes with large Equipe print on sides. Full YKK rear zipper gives easy changing. Base constructed from durable nylon 66 with laser cut Superfabric overlay panel bonded onto rear section of base to provide extra wear resistance when walking. 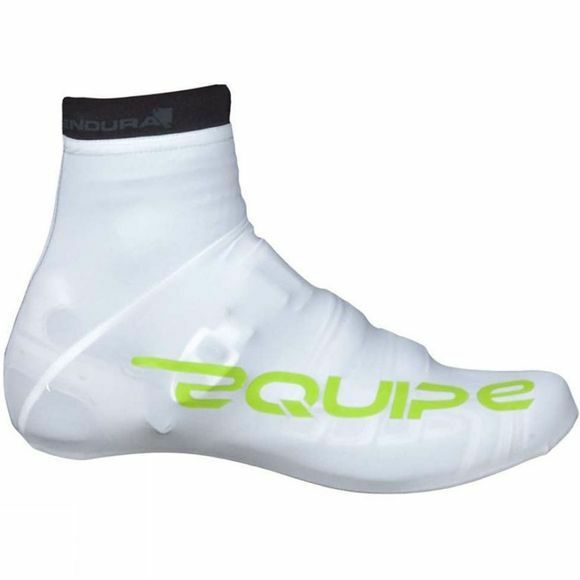 Silicone ankle hem holds overshoes securely and comfortably in place.